We have got Narendra Jha, who is a damn good actor, as the villain and of course there are evils of our society which I will be seen fighting with. Narendra has done a very good job and you can make a good film only when all the actors involved put in their best. The original had released 25 years ago and it did appeal to the youth back then in a fabulous way. How difficult or easy will it be for the sequel to appeal to today’s generation and induce them to watch it? The biggest challenge for me today is to get the audience to theatres to watch the film. Ghayal has been very close to my heart and Ghayal Once Again too will appeal to the audience. Yes unlike yesteryear when fans used to wait for their favourite actor’s films, we need to reach out to the youth and make them aware about our film. The youth back then could identify with the characters who too were young victims of the system. The sequel too is about young guys and girls who are victims of the system so today’s youth will be able to identify with and relate to with the story and the characters. Yes. I am an anchor to the youngsters who are fighting with the system in Ghayal Once Again. See basically it’s all about the system only. We move as per the system. If we get what we deserve from the system, things work fine, but if we don’t get what we deserve then the fight with the system begins. We keep playing sports with the system. Have you incorporated any real life incidents that you must have come across while interacting with people, especially the youngsters? Not really. 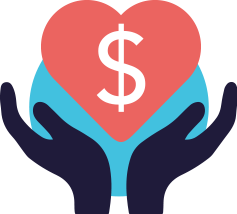 What we have shown in the film is something we see happening more often around us. Our society is troubled with rapes, murders, with people who have joined hands with corruption because they feel that’s the only way to exist. These incidents are reflected in the film and every film is a reflection of what exists in the society. But we haven’t handpicked any one particular incident or highlighted any particular real life incidents. When Rang De Basanti had released, it had changed the society and the way people think. You think your film will have the same impact on today’s audience? See whenever I have done a socially relevant or a patriotic film, I had no idea about the kind of impact it will have on the society or if it will change the way people think or live. Our intention has always been to make a socially relevant film, something that people should be able to relate to and identify with. How well I have been able to capture what I wanted to say is something I or you can tell me as a viewer of the product. What happens is that as an actor I do a scene and move on to the next one but as a director, I have seen all that so many times that I unintentionally become blind towards it. I don’t know how far I have reached. As a viewer I want to take something of the film with me back home. That’s why I have done more films on those lines. So, I hope the audience too will take back home something good from our film. How far I have succeeded in achieving that is something we will get to know after the film releases. Do you wish to show the film to your friends and other people from the industry? See what happens is the moment you show the film to people, they become doctors aur film mein beemariyan dhoondna shuru kar dete hain. I get scared of that and I don’t wish to know ki meri film mein kya beemariyaan hain. Also, I have seen my film so many times before its release that I unintentionally end up turning a deaf ear to whatever people have to say about the film because then it doesn’t matter to me. I wish to know whether the film entertained you or not, whether it made you laugh or cry, whether it bored you or made you think. I don’t want people to tell me about the technical aspects and editing and stuff like that. Has your dad seen the film? If yes, what was his reaction? Yes he has seen portions of it but not the entire film. His reaction has been exactly what a father’s reaction would be after seeing his son’s work. He did share his views and opinions but that’s very personal and I would prefer to keep it that way. See whoever sees the film will have some inputs and dad too gave his inputs. But as a director, I do what I feel is right for the film and what I have visualised. If the inputs and the changes suggested are in sync with what I have visualized and they help in enhancing the film and the characters then of course I incorporate them. You have been part of a lot of patriotic films. Recently, there have been quite a few terrorist attacks in India, the most recent one at Pathankot. Any plans of making a film on these incidents and bringing a change in the society? The problem is that change cannot be brought into our society so easily. I had made a film on Bhagat Singh, Sukhdev and Chandrasekhar Azad because I wanted to bring their legendary sacrifices to the fore and inform today’s youth about them. But unfortunately, people, especially the youth didn’t go to watch those films. It’s very sad. I am not saying that the film was a flop but I wanted people to feel their heroism. For example, Rang De Basanti too is a patriotic film but the treatment was very different. 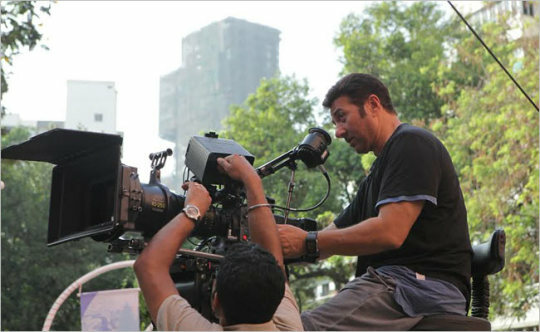 Your films have always offered tremendous dose of action to the audience, especially Ghayal. Will the sequel live up to the audience’s expectations as far as action is concerned? See it’s not about how much action have we incorporated in the film and how many action scenes are there. The kind of action should justify the content and the story of the film. There is no point in just adding action sequences when the film doesn’t demand that amount of action. 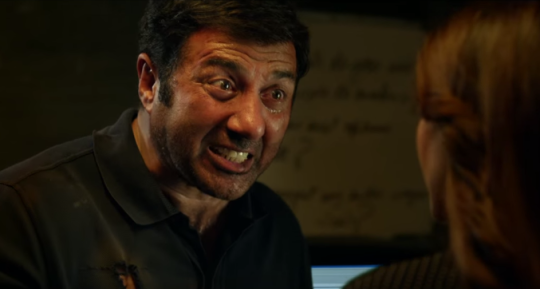 We haven’t measured how much action has gone into Ghayal Once Again but I have always believed that action should be a part of the screenplay and that’s how it is in this film too. But the action is very real and believable like it has always been in my films. As a director, is it easy or difficult to please and convince the actor in you and vice versa? See there is nothing called difficult or easy to be very honest. It is basically about enjoying that moment and bringing the best in you to the fore, either as an actor or a director. As an actor it’s very important ki hum uss character ka sahi sur pakde. Otherwise it gets very difficult. Similar is the case with direction too. I know you must be wondering how a bad dancer like me is talking about sur but it’s the most important thing for an actor to get into the skin of the character. After so many years in the industry, are you still as emotional a person as you have always been? Do you still trust people easily? See we (the Deols) are made and brought up in a way that we get emotional very quickly. We as a family are all very emotional people. That’s how our grooming and upbringing has been. And yes, even today, I trust people quickly because I feel that they will be as honest to me as I am with them. I expect they won’t lie to me or cheat me because I don’t do that to people I work with or with anybody for that matter. I don’t want that quality of mine to die ever because then you develop a tendency to doubt everyone around you. 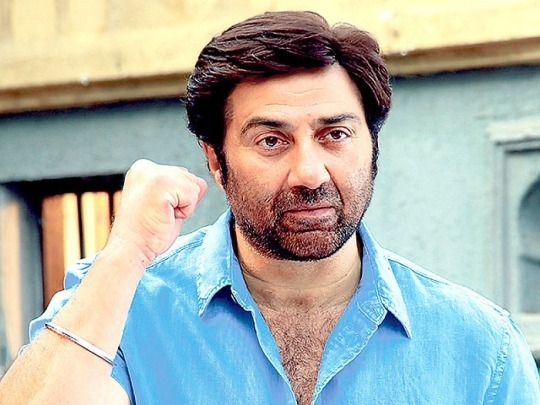 After Ghayal Once Again, any plans of remaking your other films? I haven’t planned remaking any other film of mine as such. 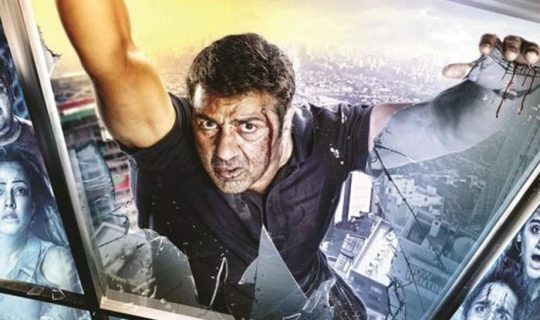 Actually Ghayal Once Again is my acid test so let’s see how well the film does. If I feel that my films and the characters are relevant to today’s time and the audience is able to relate to it and find relevance in the film, then why not? Your dad has given some legendary movies to the industry? Would you like revisit them and remake some of them? I think no actor’s films should be remade. If you want to remake a film, remake your own film. What happens is that when a film is made; an actor’s personality, his soul, his character and charisma are attached to that film. Now if you remake it with somebody else, then you cannot recreate the same magic again. I don’t endorse the idea of remaking old cult classics. You can pick up the subject and the feel and make another film, but don’t remake it. For example if I take one of dad’s best films, Satyakam and put that character in today’s society, it may or may not find relevance because the character’s fight in that film was very different. I can pick-up the feel that whether a common man can live with the truth or not. That could be the essence. Would you love to play the character if Satyakam is remade and if you are offered to play the role? No. I think a youngster should play that character because the original too was about the fight of a youngster. My dad too was very young when he played that character. So a young actor should be cast in its remake if at all somebody makes it. Wouldn’t you want to see your son Karan playing that character? Ha ha! Well that’s too early to talk about right now. We will definitely discuss that later but I am someone who is filled with a lot of thoughts and ideas which I would want to bring across when my kids start working in films. There is a lot that has to be done. There is shortage of ideas and stories. The Deols are known to be very private people and one has to be very outgoing when it comes to promoting a film these days. It was a refreshing change to see to do that. Was it difficult? Yes it was because you have to convince the audience to come and watch your film and make them believe in your film. I always tell people that no matter what job they do, they have to enjoy it, otherwise don’t do it. So I thought and said to myself, let me go and enjoy it. (Laughs) I know it’s a part of my job. I have made the film; now I have to take it to the maximum audience I can because promoting a film is as important as making one. Personally, as a citizen of India, what would you want to change in the system? I would love to bring in honesty, honesty and only honesty.